When I am not busy doing all things real estate at the T Williams Realty office, I enjoy my other career as an elementary school teacher. In my previous post I told you all about our great potato dig in the school garden. Well, just last week we finally enjoyed the fruits of our labor. 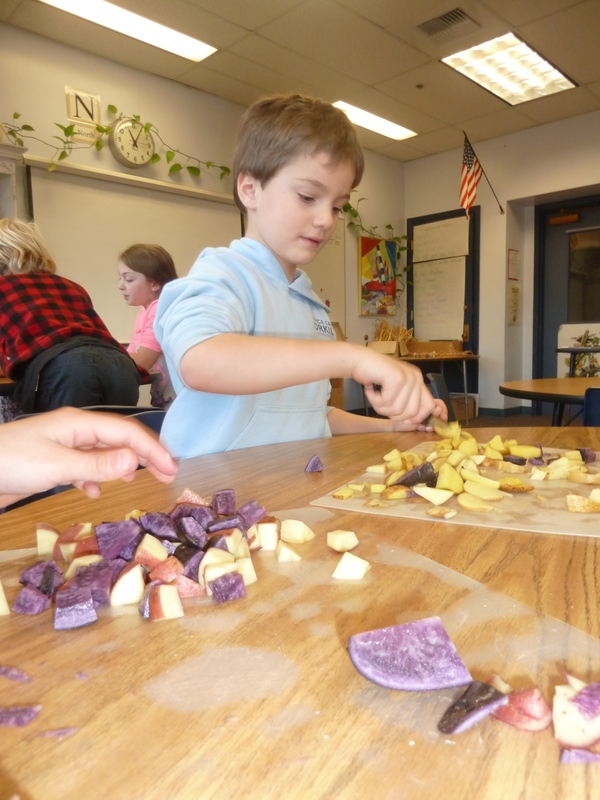 All of the students at Orcas Island Elementary School helped to make and then eat some garden fresh roasted potatoes! 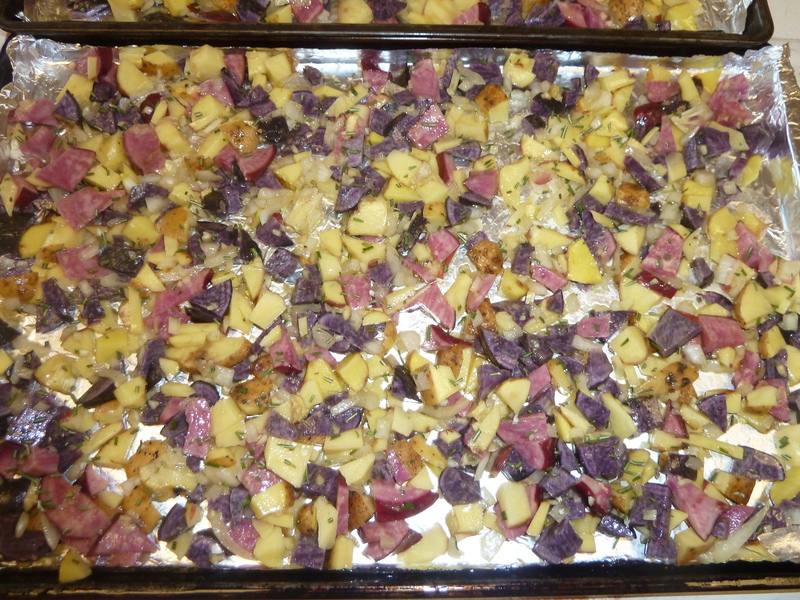 Our yummy garden fresh roasted potatoes- just look at all those colors! The potatoes were stored just the way they like; cool, dark, and dirty. They spent the past three months stored in cardboard boxes and covered with shade cloth in a rodent free, unheated garage. When we opened the boxes they were just as firm and glorious as the day we picked them. 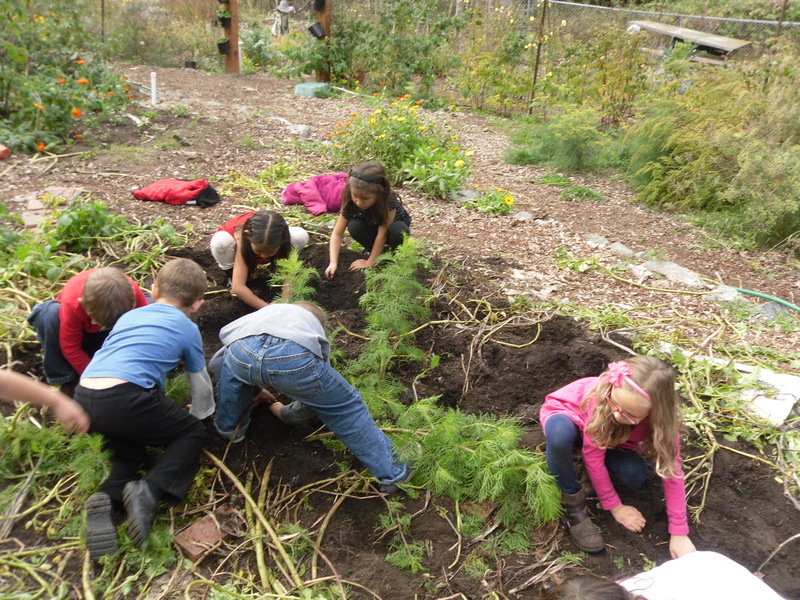 Kindergarten students digging up the potatoes in the school garden last fall. 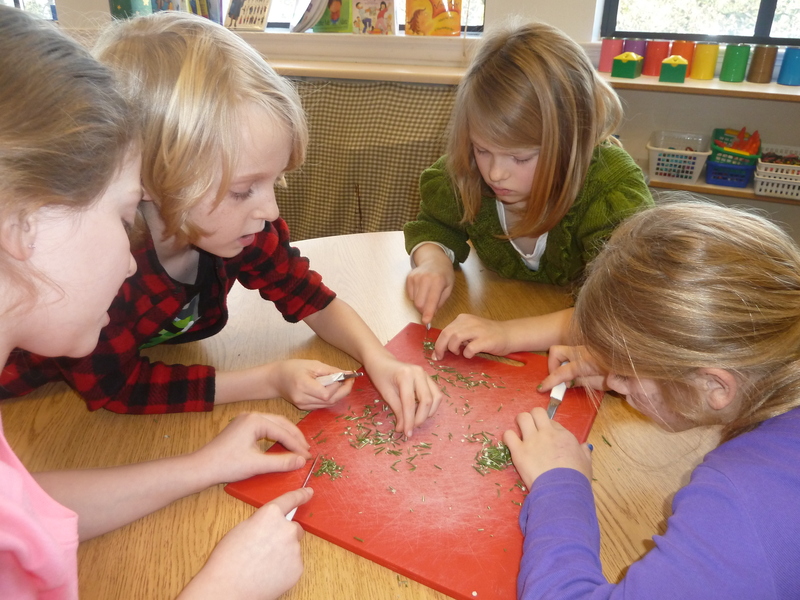 In the classroom the children are divided into working groups: Potato cutters, onion dicers, garlic peelers and mincers, and the rosemary choppers. Yes, all of the groups will be using knives. Children and knives? At school? Yes! 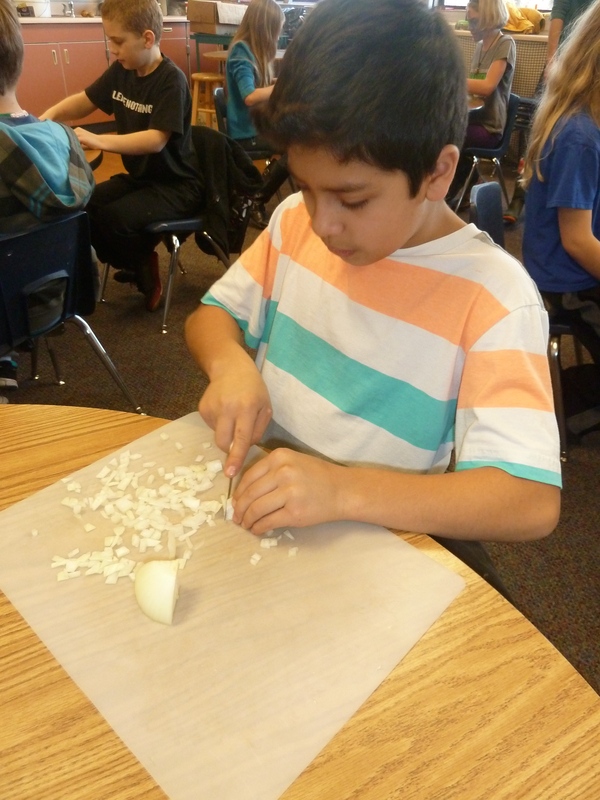 The students are taught safe knife handling skills starting in Kindergarten. The rules are followed closely because the children know that using the knives is a privilege that must be taken seriously or they will lose it. Kids LOVE to be helpful! Sometimes we adults forget to give them the opportunities. 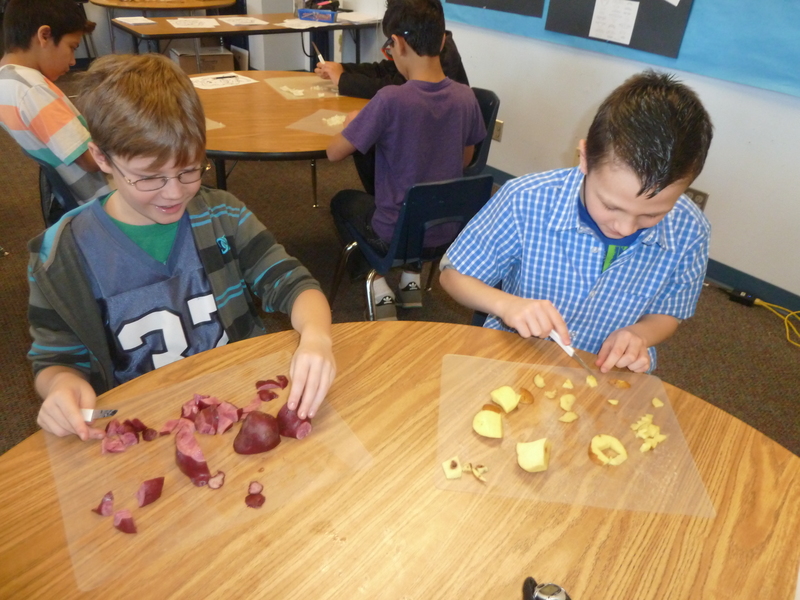 Not in Farm to Classroom– all students are taught to use tools and expected to do their part! 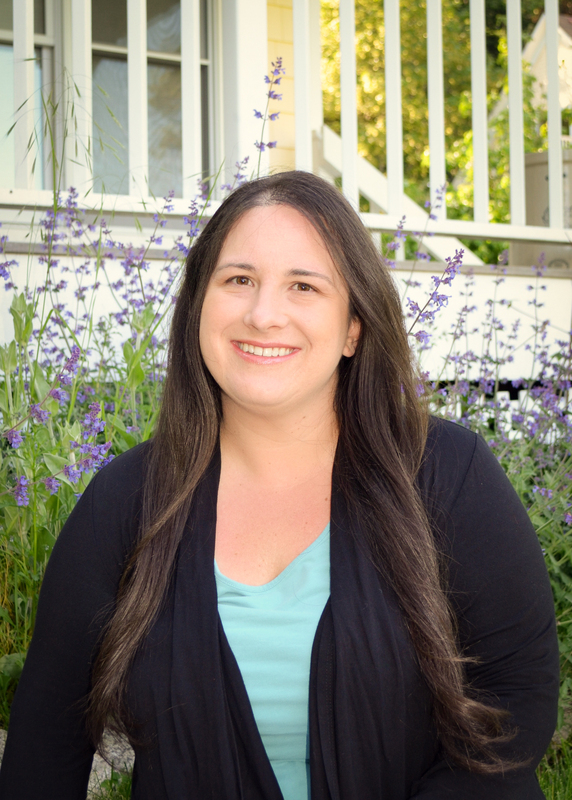 Elementary students safely using knives in Farm to Classroom. 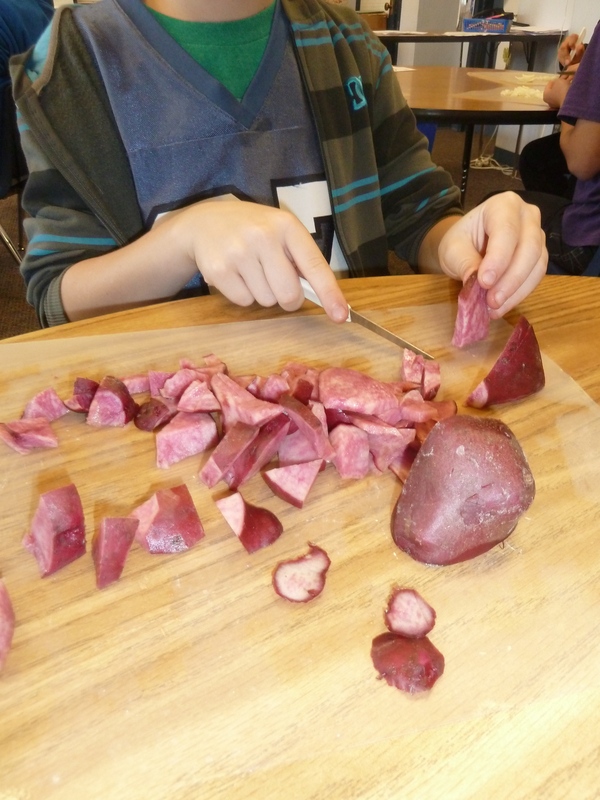 Once the cutting commences there are ooohs and ahhhs as the purple majesty and cranberry red potatoes are sliced open to discover that they are also colored on the inside! The stunning Purple Majesty potato! The Cranberry Red potato- red through out! The onion group starts to complain of watering eyes. The peeled garlic (harvested from our garden) starts to fill the room with its distinct scent. 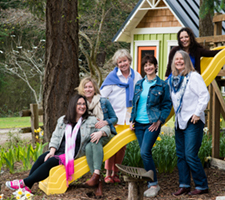 The rosemary group is focused on cutting tiny pieces so it doesn’t “feel like we are eating the Christmas tree”. 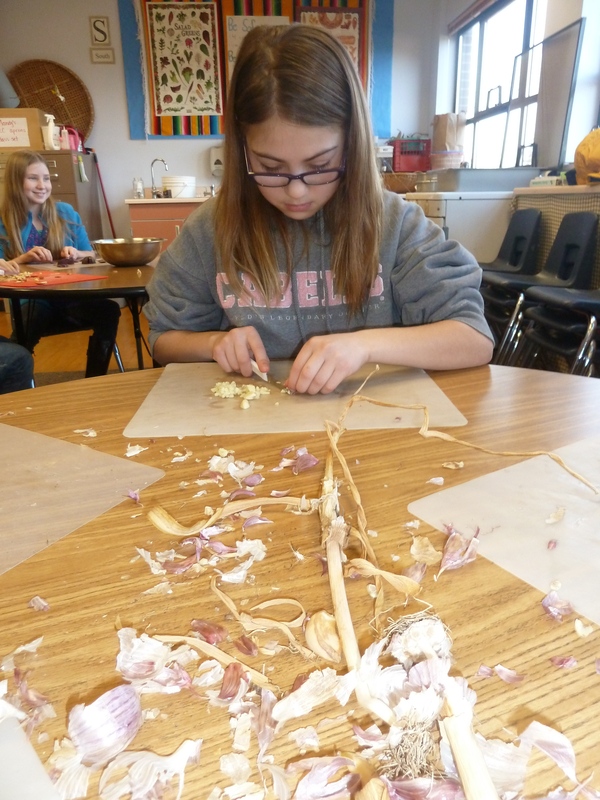 Peeling and mincing garlic grown in our school garden. Focused on chopping the rosemary into teeny-tiny pieces. With the chopping complete the potatoes, garlic, onion, and rosemary are tossed together with olive oil and some salt. 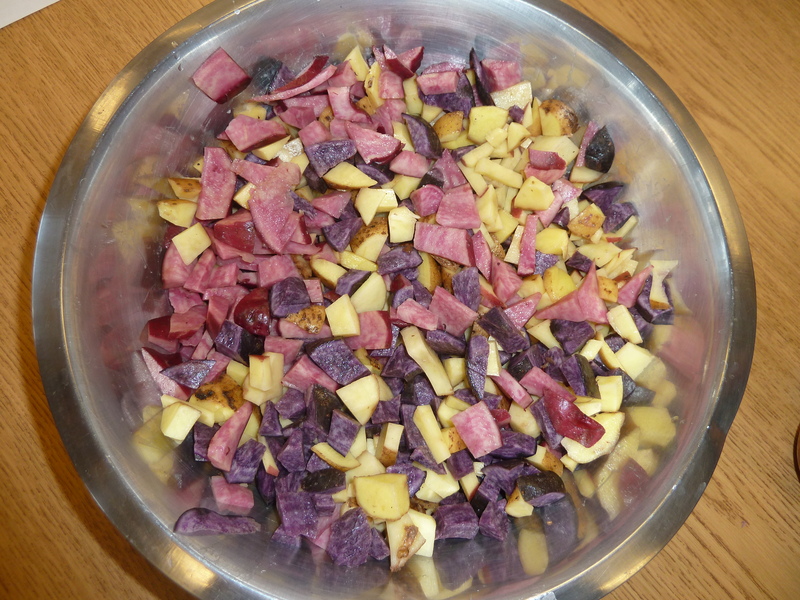 A very colorful bowl of potatoes. Off into the oven set at 450 degrees for about 15 minutes. Our garden fresh roasted potatoes are so delicious! The children loved eating them and you will too!